Serving the suburbs since 1997, High Impact DJs features amazing DJ talent, beautiful uplighting, and event production for Chicago weddings, prom, homecoming, and private events. 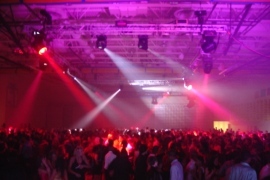 Professional event production elements are available for events of all sizes. Let us help you customize your entertainment experience. Specializing in contemporary & classic weddings, we provide an integral piece to the wedding of your dreams. 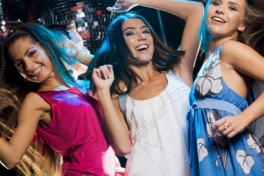 Few Chicago DJ services offer professional rigging and production-caliber equipment. 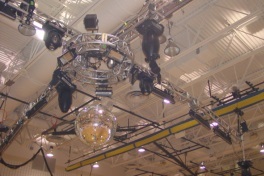 Our team can attach trussing, speakers, and lighting to gym ceilings to completely transform the space. We'd like to help take the guess work out of hiring a professional DJ. We are competitively priced, prompt, and have been in business since 1997. We're just an email or Facebook message away for instant communications via our contact page. We also welcome your call at 708-352-5902. Let us help take your event to the next level. Middle school dance to high school homecoming, turn about, and prom. We've got you covered! We help make high school memories one prom at a time. 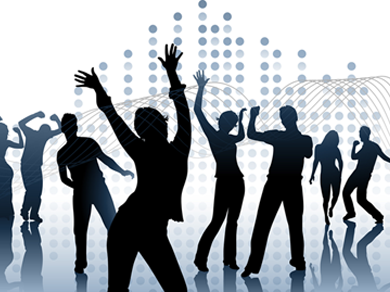 Our refined prom DJ services are second to none in Chicago. Follow the link below to learn more! Like us on Facebook for our latest news, exclusive promo codes, and interact with other Impact Fans! 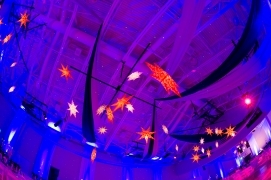 Turn your event into something extra-ordinary with our uplighting, spotlight, and monogram decor options. Bring your party to life with our expansive music library, dynamic lighting, and polished DJ services. Choose us for graduation, sweet 16, and birthday parties.